If you can dream it, SeaCoast Homes can build it. This family-run business is constructed on a 30-plus year foundation of exceptional quality and family values. 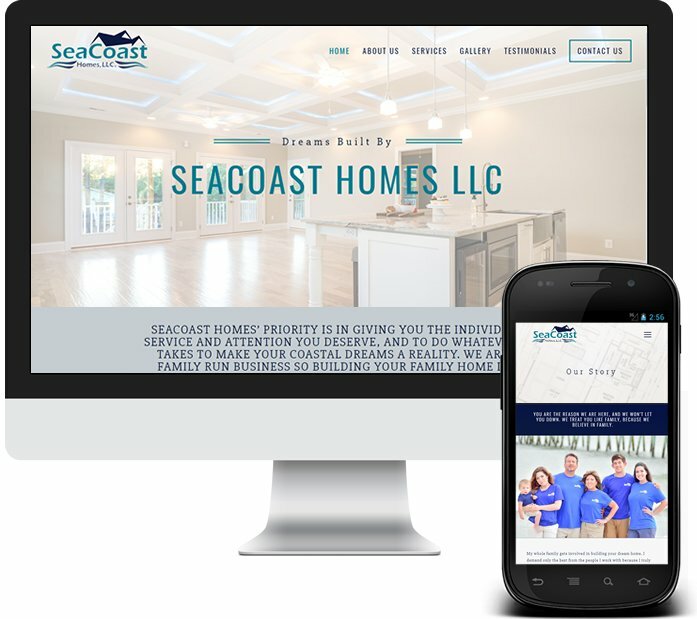 They treat their clients like family, so we were honored when they invited us to design their online home. And we are thrilled to add them to our very own growing family of satisfied clients. Our creative in-house design team crafted a fully responsive WordPress website design based off their existing logo design. The clean lines and fresh colors make you want to kick back and stay a while. Site visitors can easily track the progress of projects through the beautiful gallery of real estate photography. If you are dreaming about building an island home, make your construction wishes come true at SeaCoast Homes LLC!